When you’re choosing a place for your family to live, choosing a place to live near a high-quality school is important to every parent. Your children will spend a lot of their time in school, and you want them in a place that will support them through social and academic growth. Last month we showcased your schooling options in eight different Edmonton communities, and this month we turn our eyes to the communities just outside the city. Bedroom communities are becoming increasingly popular options for many families. If you’re considering one of these communities, though, you might worry that it could significantly limit your schooling options. The truth might surprise you. In each of Qualico’s bedroom communities, you’ll find that there are quite a few schools to choose from. Read on to learn more about your options to find a home that’s right for your family. The city of Beaumont is southeast of Edmonton, and it has a nice, country-style feel that appeals to families who enjoy spending time outside. Ruisseau is located in this area. Since young families tend to find this area attractive, you’ll find that there are a few preschools to choose from, including The Beehive Junior Kindergarten, Ready Set Grow Pre School, and Little Lambs Christian Preschool. Older kids in this area attend the public schools - Ecole Belleview, Ecole Beau Meadow, or Ecole Secondaire Beaumont. These are all bilingual French schools, where your children can learn in both French and English. On the southwest side, the town of Devon is home to South Ravines a Qualico community that offer lots that back out onto a beautiful ravine. Many families choose to send their children to the nearby public schools, including Robina Baker Elementary School and Riverview Middle School. At these schools, a dedicated team of professionals strives to encourage children to achieve their own success. Christian families who would prefer their child to receive a faith-based education have options as well. Holy Spirit Catholic School has programs for children from pre-K to ninth grade. Alternatively, Devon Christian School is a non-denominational Christian school. Forest Ridge and Sienna are both in the Fort Saskatchewan area, which is a great choice for those who work in Fort Saskatchewan, Sherwood Park or Northeast Edmonton. Residents in these communities enjoy a broad range of options. For traditional public schools, parents might choose Fort Saskatchewan Elementary or Win Ferguson Elementary. Each has its own unique advantages, but many families choose based on proximity to their home. Students typically go on to attend Rudolph Hennig Junior High. There are two Catholic elementary schools in the area: St. John XXIII Elementary and Our Lady of the Angels. Each goes up to fourth grade. Some parents choose Fort Saskatchewan Christian, which is a publicly-funded Alternative Christian program. 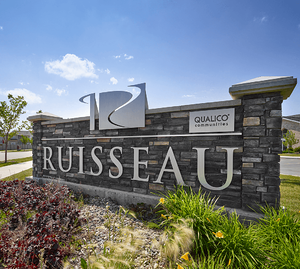 South of Edmonton, in the city of Leduc, home owners enjoy a family-friendly atmosphere, which is reflected in the variety of schools around town. Working parents may want to check out BrightPath, which offers a preschool program that includes before and after school care. Caledonia Park Elementary offers a traditional elementary program, while Ecole Corinthia has a French and English immersion program. The Linsfield Park School has a non-denominational Christian educational program for those who choose it. Many families also look to the Catholic Schools, Ecole Notre Dame and Christ the King High School. On the east side of the city, Sherwood Park offers residents easy access to downtown Edmonton with all the advantages of a quieter lifestyle. 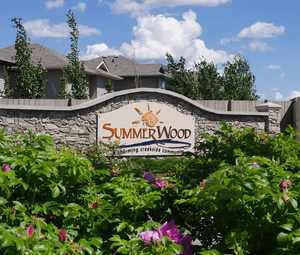 Qualico's community of Summerwood offers several wonderful natural amenities. If you have young children, you could get them started on French early at Les Petits Soleils Preschool, which has a French immersion program. Westboro Elementary and Brentwood Elementary are two of the public elementary schools in this area. There’s also the New Horizons charter school, which is a special school for gifted children. In the public realm, one unique aspect of Sherwood Park is that it has two public high schools: Bev Facey Community High and Salisbury Composite High. There is a variety of catholic education options in Sherwood Park as well, including St. Teresa Catholic School and Holy Spirit Catholic School. Strathcona Christian Academy Secondary is a secondary school teaching grades 7-12 with a Christian-based curriculum. Spruce Grove is thriving, and families just love living here. Check out both of Qualico’s communities - Springate and Hawthorne. If you’re interested in French immersion, you’ll want to check out the Ecole Broxton Park, which goes up to grade nine. Milgrove and Brookwood Schools are great choices for young children. Both offer only grades K-4, so it keeps the younger students together. Most teenagers go to the Spruce Grove Composite High School. There are also a number of Catholic school options, including St. Teresa Catholic Outreach School, St. Joseph, and St. Thomas Aquinas. Stony Plain is a little bit smaller, but it’s also a popular choice because the town loves celebrating its heritage. We have three communities here - Westerra, Southcreek, and Silverstone. Though the town is smaller, there are still a few school choices, including the public schools of Forest Green, Stony Plain Central, and Memorial Composite High School. St. John Paul II is the local Catholic school, and Ecole Meridian Heights offers a French immersion program. In this post, we’ve only been able to offer you a mere glimpse of the types of programs available close to the bedroom communities that we’ve started. We’re sure that once you dig deeper, you’ll be able to find the perfect school for your children. * please note: you need to check with each school to ensure if you are located within their district. Boundaries are continuing to change. The information here is considered accurate at the time of posting.